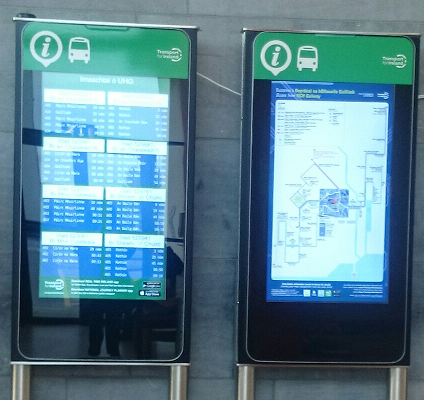 GalwayTransport.info (Galway's public transport information site) has two advertising "slots" which are provided, free of charge, to small businesses and/or non-profit organisations. 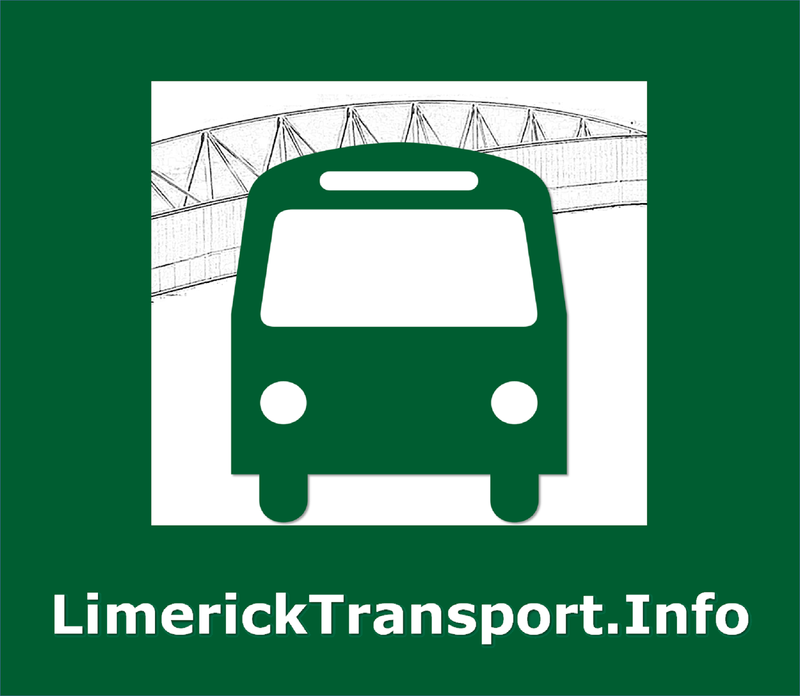 Local people, and tourists who are currently in Galway, who want information about public transport services, or quality-assured information about local facilities. People in Ireland (Galway and elsewhere) who are trying to find a specific community facility or a location within an industrial estate. Some of these people are not interested in public transport. 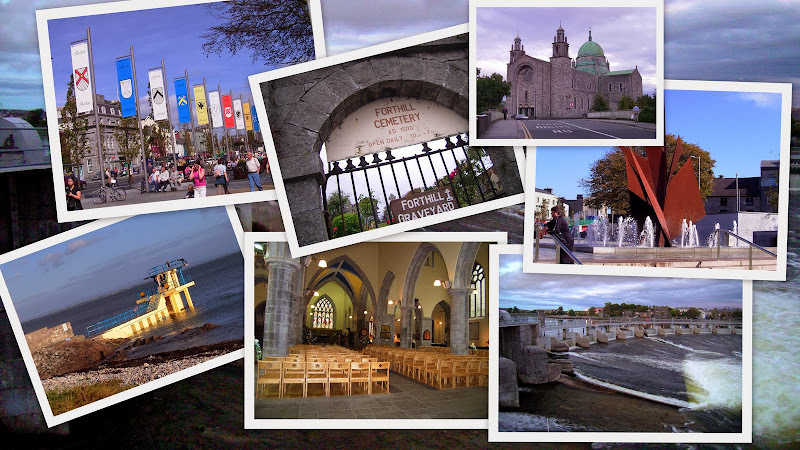 Potential tourist and/or immigrants, currently based overseas, who are researching the public transport and other services available in Galway: these are approx 10% of visitors to the site, and they tend to look at a lot of pages on the site (and so see the sidebar advertising many times). In the three months to 20 March 2010, the site averaged over 3700 visits/month, with visitors looking at 2.65 pages per visit. 85% of these visitors were from Ireland. (Source: Google Analytics). Public transport operators and large companies will not usually be accepted for participation in this programme - exceptions may be made on a case-by-case basis for companies providing new services or charitable activities. 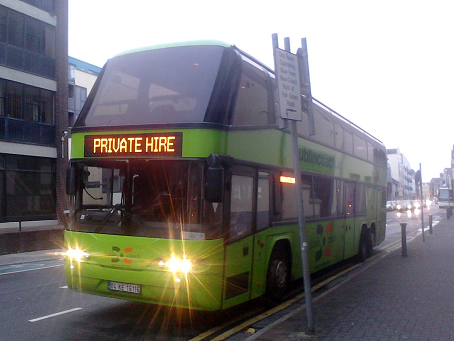 For commercial advertising, see our Information for Public Transport Providers page. To take part in this programme, potential advertisers firstly need to contact the editor, to discuss potential timing and advertisement content. Provide an image file which contains the advertisement to be shown. Provide the name (URL) of a website to be loaded when someone clicks on the image. If a website is not yet available, provide a second image file with more information. 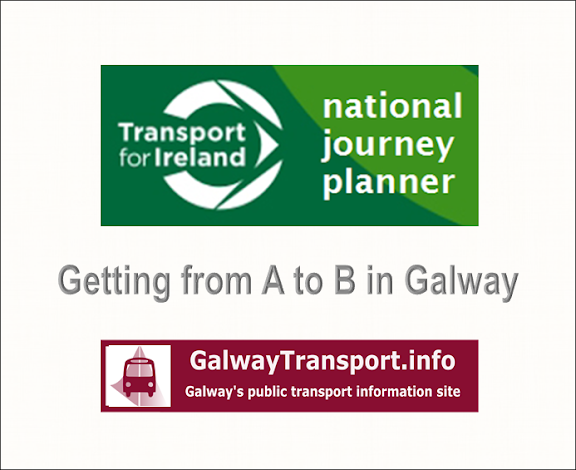 Mention GalwayTransport.info at least once during the time that their advertisement is running. This could be in publicity materials, on a website, in a newsletter or verbally at an event. This "mention" will not be audited - it is simply a goodwill gesture, in the spirit of this overall programme. Advertisements typically run for one month, but this can be varied to suit particular circumstances. The image file that is supplied must comply with the terms and conditions in all way. It should be a standard, non-animated graphic format (.bmp, .gif, .png or .jpg - or other format as agreed). PDFs are acceptable - they will be converted to an image, so must be high-enough quality for this process to work. Alternatively the top banner image will be 728 px wide, by 90 px high. GalwayTransport.info was founded on the basis of "giving forward": providing something that is useful, even though there is no immediate expectation of a reward that is commensurate with the effort put in to it. The paid advertising that the site has is expected to to pay for the web-hosting and publicity materials: it's not expected to be a viable businesses. The free-advertising programme is an extension of this. 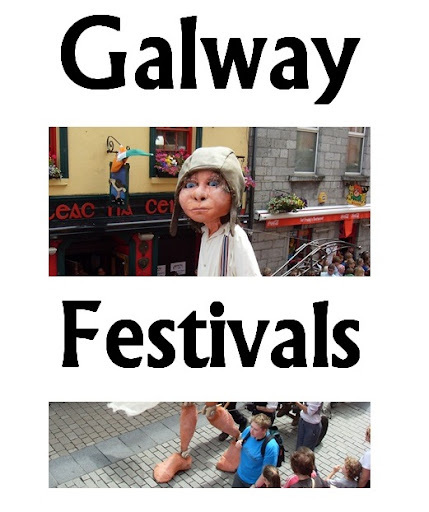 Acceptance of any potential advertiser into the programme is solely at the discretion of GalwayTransport.info and its editor(s). We will not enter into any correspondence about why particular potential advertisers were or were not accepted. No liability is accepted for any consequences of participating in the programme, or not participating in it. This includes, but is not limited to, business consequences (too many referrals, not enough, the wrong type) and website/technical consequences (unwanted visitors to your website, spam emails, lack of exposure due to website unavailability etc). Either party may terminate the agreement to advertise any time during the advertising period, or the time leading up to it. No explanation about reasons for the termination is required, although one will be given where possible. If the agreement is terminated by GalwayTransport.info, the advertiser will be told by email at the time when the advertisement is removed. If the advertiser wishes to terminate the agreement, s/he should contact the editor by email, with the expectation that the advertisement will be removed from the site within 24 hours. (NB it may not be removed from some cached materials in search engines for some time after that. Only use content (text and images) that you own the copyright to, or have permission to use. Nothing that might confuse readers into thinking they are looking at AdSense advertisements. Also, the advertising image supplied must not unduly encourage readers to click it. GalwayTransport.info reserves the right to vary these terms and conditions at any time. Advertisers are responsible for remaining up to date with the current conditions, which will always be displayed on this page.